Toenail Fungus and Eucalyptus Oil – How Well Does It Work? Some remedies can have harmful side effects. That’s why so many people are turning to natural solutions, such as Eucalyptus oil for toenail fungus. 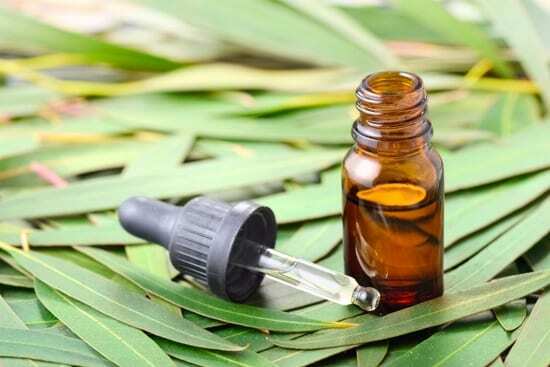 Eucalyptus oil is known for its ability to kill fungal spores, so it can work well for toenail fungus, athlete’s foot, and bad smells that come from the feet. It has both antifungal and antibacterial properties. That can help to fight toenail fungus, and keep it from growing and spreading. The antibacterial properties can also make it harder for other types of infections to start growing when your nails are weakened. Eucalyptus oil is an effective way to treat mild toenail fungus and has many other benefits. It’s easy to use, safe, and inexpensive. If you’re new to essential oils for toenail fungus, or you want more information about how eucalyptus oil works, keep reading for additional information. 1.4 Does Eucalyptus Oil Have Any Side Effects? 1.6 Can I Use Eucalyptus Oil to Prevent Toenail Fungus? This guide will focus on how eucalyptus oil works for toenail fungus. We’ll look at why it works so well and how you can use it to get the best results. Finally, we’ll talk about what you can expect when you use it, including any possible side effects. Using different essential oils for toenail fungus is a great way to get rid of it safely. Eucalyptus oil shouldn’t be overlooked as a treatment. So, let’s take a closer look at why it works so well, and the ways that you can use it to treat your toenails. This essential oil has an Australian origin. It has been used for years because of its antifungal and antibacterial properties. That’s why it’s a popular skincare option. The immune-boosting properties can also help when you’re dealing with a toenail fungus. Sometimes, a fungal infection needs to be treated from the inside as well as topically. When your immune system is weak, the fungus has a better chance of growing and spreading. A strong immune system can fight back against an infection better. That will weaken the fungus and make treatment work faster. 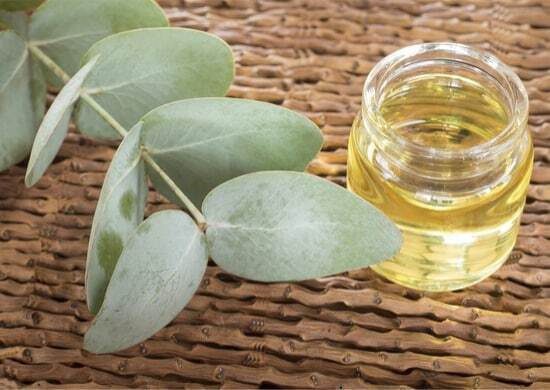 Eucalyptus oil also helps to stimulate blood flow and boost circulation in your feet. Applying it to your toenails will increase circulation there, making it easier for your nails to fight off the infection. If you have poor circulation or a condition like diabetes, this can make a big difference in how quickly your infection starts to heal. But it’s the antifungal properties that make eucalyptus oil a great way to get rid of toenail fungus quickly and safely. The most important thing is to know how to use it correctly. The great thing about eucalyptus oil is there are a few ways you can apply it to get rid of your fungal infection. You can use it in a foot soak, wrap your toe(s) in gauze, or apply it directly to the nail. Follow these quick step-by-step guides for each method. Fill a basin or foot spa machine with enough water to cover your feet. Add 2-3 drops of eucalyptus oil, and a handful of Epsom salts to the warm water. Soak your feet for 20-30 minutes in the solution. When finished, dry your feet thoroughly, making sure they are dry between the toes. For best results, prepare this soak two times a day. Fill a bowl with about one cup of cold water, and 2-3 drops of eucalyptus oil. Take a piece of cloth or a piece of gauze and soak it in the solution. Swirl the cloth around several times to make sure it soaks up enough oil. Apply the cloth to the infected nail(s). If using gauze, you can wrap the nail and leave it overnight. Let the cloth sit for several minutes around the nail. If using gauze, remove in the morning and make sure the nail is completely dry. Mix 2-3 drops eucalyptus oil with a carrier, like olive oil. Dab the cotton ball on the affected nail(s). Let air dry completely before putting on socks or shoes. Repeat 2-3 times each day for best results. As you can see, it’s easy to use eucalyptus oil on a toenail fungus because you have so many different options. You may find that one of these options works better for you. It’s likely that applying the oil directly to your nail will help deal with a severe infection the best. But, any of these treatments can be effective. Find what works best for you, or alternate between them to get results. After following any of these solutions, you should use a moisturizer on your feet. It’s important to keep your feet dry, but there is a difference between dry and properly-moisturized. Using a moisturizer helps to prevent cracks from forming in your feet. These cracks can cause your feet to open up and bleed, which can lead to other types of infections. One of the great things about this essential oil is that it works well with others. Several other oils are known for getting rid of toenail fungus. A couple of these include tea tree oil and oregano oil. The good news is that eucalyptus oil can be combined with either. If you want to combine eucalyptus with another essential oil, you need to make sure that it’s diluted with a carrier oil. Eucalyptus oil is potent on its own. Combined with tea tree oil, it can become even stronger. Some people may not react to these oils, but those with sensitive skin might experience slight irritation. Diluting the oils won’t cause them to lose their effectiveness. It will just be easier on your skin. Does Eucalyptus Oil Have Any Side Effects? If you follow the directions listed in this guide when using eucalyptus oil, there is little chance of experiencing any harmful side effects. But, that doesn’t mean you shouldn’t be careful when using this essential oil. Many people have turned to eucalyptus oil as a natural option because they don’t want to use harsh or harmful chemicals. In general, it is incredibly safe. Unless you have an allergy to it, you probably won’t experience any adverse side effects. But, it’s still important to dilute it in a carrier oil and apply it correctly. Keep in mind that when you do apply it to a fungal infection, you should always wash your hands and use a different applicator each time. By taking a few extra steps to dilute the oil and making sure you’re using it the right way, eucalyptus oil is perfectly safe. One of the main questions people have is how long it will take for toenail fungus to go away completely. You might think that a natural solution would take longer to heal this type of infection. That’s not necessarily true if you catch it at an early stage of development. Eucalyptus oil and other natural options can be just as potent, but not all were created equal. But, the longer you’ve let your toenail fungus go, the more time that it will take to recover. It can take weeks, or even months for a fungal infection to clear up. This is even the case when you’re using something as effective as an essential oil. Make sure your toenails are clipped reasonably short. This will help the oil get underneath the nail bed where the fungus is growing. You should always clip your toenails straight across, not curved. Invest in a pair of clippers for thick toenails. Toenail fungus can cause your nails to become thick and hard. You may need to file down the tops of them for the oil to penetrate through them. Push back the cuticles gently. It’s best to do this just after a shower when they are softer. This will make it easier for eucalyptus oil to penetrate the nail. Never use the same foot-soaking solution twice. You could contaminate the water and oils that are used. Make sure the oil you’re using is 100% eucalyptus oil and not a blend. Blended oils will not work as well or be as potent. They may also contain other unnatural ingredients that could irritate your skin. Can I Use Eucalyptus Oil to Prevent Toenail Fungus? Because toenail fungus is so contagious, it can’t be prevented entirely. You can use eucalyptus oil in a foot soak regularly to keep infections away or keep them from becoming severe. Sprinkle antifungal powder in your shoes after each use. Alternate which shoes you wear each day. This gives them a chance to air out. Keep your nails neatly trimmed. This makes it harder for a fungus to grow and creates a harsher environment for it. Never share shoes or socks with someone else. If you’re prone to sweaty feet, wear antifungal socks infused with copper or silver. Wear shower shoes or flip-flops in public places like pools, showers or locker rooms. Practice a good foot care routine. The cleaner and healthier your feet are, the easier it will be for them to fight off infections. The great thing about using essential oils as a toenail fungus treatment is that they are natural and gentle on your skin and nails. Along with the other measures listed here, you can use things like eucalyptus oil and tea tree oil regularly to keep your feet and nails healthy. There’s a reason so many people are turning to natural ways of getting rid of toenail fungus. For starters, some of them work. Second, they are much safer than prescriptions medications. Eucalyptus oil is no exception. It may not get as much attention as tea tree oil, but it probably should. Because of its antibacterial properties, eucalyptus oil can also help to ward off other infections. It is also an antiseptic, so it will keep your feet and nails clean and free of debris (keratin) that might come with a fungal infection. 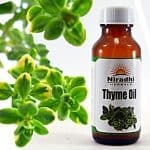 Using this essential oil can get you the results you’re looking for without any harmful side effects. Plus, because there are many ways to apply it, you can see which method works best for you. Eucalyptus oil can work to get rid of a mild toenail fungus. Does White Iodine for Toenail Fungus Work?